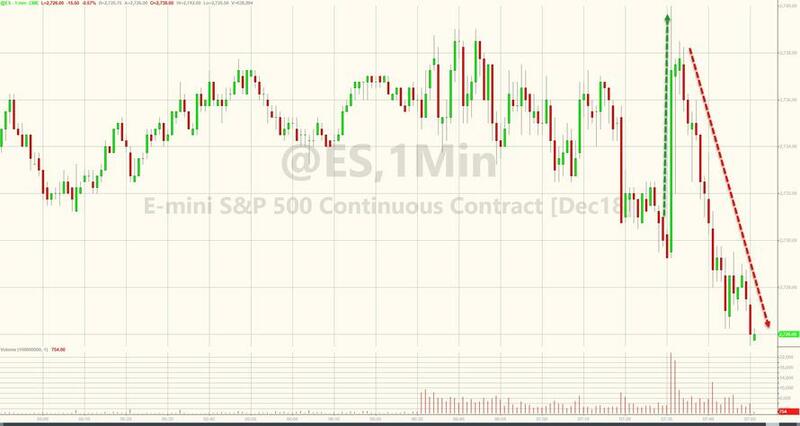 US equities are taking a sudden turn for the worse as The South China Morning Post reports that White House trade adviser - and its most ardent China hawk - Peter Navarro, is back on the guest list for the Trump-Xi dinner after being initally left off the list. Initially, stocks jumped as President Donald Trump said he is very close to “doing something” on China ahead of a planned meeting Saturday with President Xi Jinping. Aninda Mitra, senior sovereign analyst at BNY Mellon Investment Management, wrote in a note this week that the odds of a Sino-US deal versus no deal on trade tariffs was “about 50:50 in the market’s view”. The possibility of the summit ending in open conflict is smaller than 5 per cent, while the chances the meeting will end with “no significant agreement” – putting Washington on track to raise tariffs on Chinese products as planned on January 1 – has a 30 per cent chance, Mitra said. The odds of the meeting ending with “deliberate ambiguity on whether the January 1 tariff increase will happen” has a 40 per cent probability. Mitra rated the prospect of a clear statement from the two leaders that the tariff increase would be put on hold at just 25 per cent. The South China Morning Post reported last week that Navarro, one of the most prominent China hawks in the Trump administration, would not attend the Trump-Xi dinner. 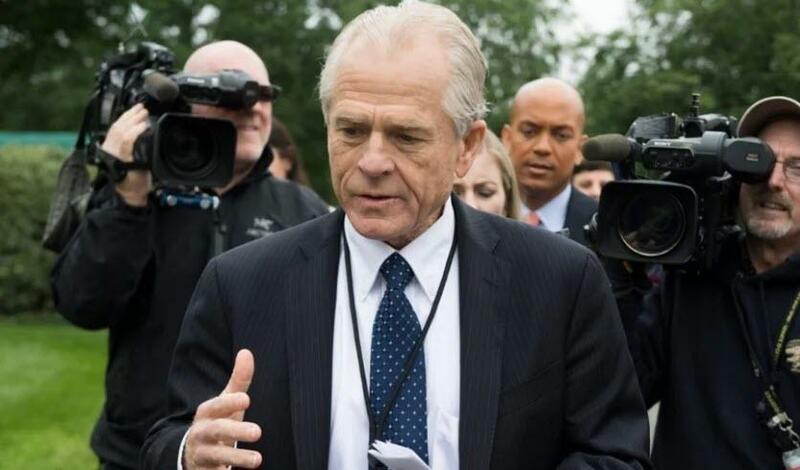 But a source, who has been briefed on the latest arrangements for the meeting, said Navarro would now be part of the Trump team in Buenos Aires. Navarro is likely to join US Secretary of State Mike Pompeo, Trade Representative Robert Lighthizer, National Security Adviser John Bolton, White House economic adviser Larry Kudlow and Treasury Secretary Steven Mnuchin to accompany Trump at the dinner, the results of which will affect the world’s economy for years to come. The inclusion of Navarro means the number of people each president can bring to the table could be increased to eight or more and highlights the uncertainty surrounding the meeting, the first between Trump and Xi since the trade war broke out.